This plan is Southern comfort at its best! North Carolina's homes embrace a wide variety of architectural styles. These traditional east coast houses have a rich history of being well designed and timeless. 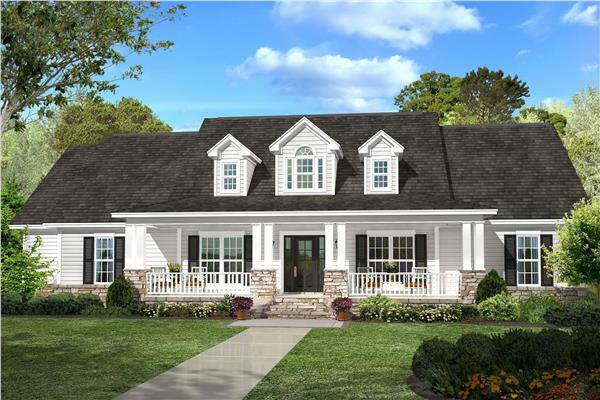 Colonial, Federal, and Georgian house plan designs, with their balanced proportions and classical styling, have proved especially popular since the early days. In more rural areas, the classic farmhouse or log cabin continues to be the home style of choice. If you get closer to the beach, the homes tend to get more of a coastal vibe. More recent development has led to the growing appreciation for narrow lot home designs. Our North Carolina style homes have a lot of character, and still come in an affordable package. They're the perfect balance of getting the space you desire at an economical value. Start exploring the special differences that make each one of our designs unique. See both the interior and exterior of the home, and get a feel for the flow from room to room. If you’re moving to Asheville and looking to build a home that’s true to the area or moving somewhere else and want to take the North Carolina style with you, browse through our plans below. Please contact us with any additional questions you may have. We're here to help!